Jumping for joy at the Red Apple’s new bike corral. 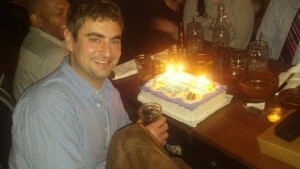 Photo provided by Dylan Ahearn. “It is the small things that count. “After months of persistent effort, hours of off-the-cuff design work, and even construction management, out own Ryan Harrison has, with the gracious support of our friends at the Beacon Merchants Association and Red Apple, succeeded in shepherding the construction of a sweet new bike corral at Red Apple. As you can see from the attached photo we are jumping for joy up on Beacon Hill. “Way to go Ryan for all the hard work, the Beacon Merchants Association for supplying a $500 grant, and Red Apple for footing the rest of the bill. “Ryan has all the details if you want more. Beacon B.I.K.E.S. members at the neighborhood greenways group meeting at the Beacon Hill Library in January, 2012. Photo by Dan Bennett in the Beacon Hill Blog photo pool on Flickr. This is a call to anyone who is on this list that lives on Beacon Hill and wants to see our Greenway be built. SDOT had a community open house on July 19, I saw many of you there. They collected public comments, many of which were positive. However, there have been a few individuals that have been very vocal in their opposition and their voices are drowning out the broad-based support we have for this project in our community. 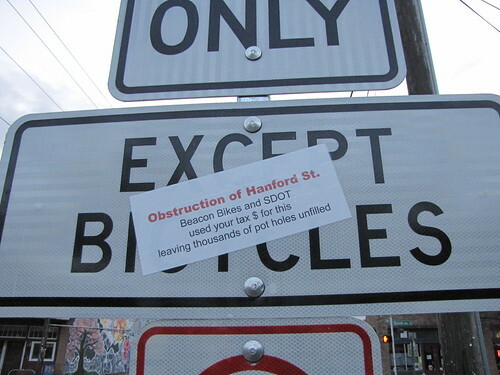 Please take 5 minutes to write an email showing support for the project to SDOT and Council. I have spoken with key individuals at the City and they say these emails are the single most important thing we can do right now. If you can, add why the project is important to you personally. They have heard from me and a couple other active members many times, to have a really powerful effect it would be wonderful if those of you who have not been very active could write an email. Thank you for your help in making Beacon Hill a safer and more livable neighborhood. The proposed greenway would follow 18th Avenue South from the I-90 trail south to South Hanford street, where it would zigzag over to Lafayette Avenue South, then along the edge of Jefferson Park to South Dakota Street, then south on 12th Avenue South to South Lucile Street. 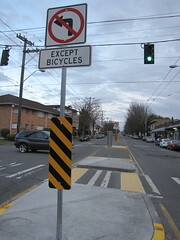 The greenway route would have improvements and repairs to make the street safer for cyclists, drivers, and pedestrians alike, including new signage and street markings, crossing islands at certain intersections, a new left turn lane on South Spokane Street, and others. As mentioned above, details may be found here. All are invited to a Seattle Department of Transportation open house on Thursday, July 19 from 6:30-8 p.m. at Jefferson Community Center (3801 Beacon Ave. S.) to discuss the Beacon Hill Neighborhood Greenway. 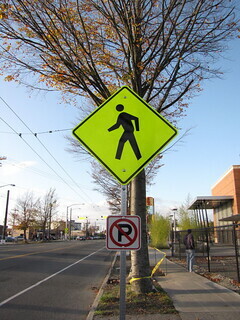 The greenway is a 2.8 mile long pedestrian- and bicycle-friendly route through North Beacon Hill, providing improved access to locations including the I-90 Trail, Beacon Hill Station, Beacon Hill Library, Jefferson Park, Maplewood Playfield, Mercer Middle School, Maple Elementary School, and Cleveland High School. The route has changed slightly since the earlier proposed version of the Greenway. The current route will start at the I-90 Trail and 18th Avenue South, then continue south along 18th. The greenway will then turn and cross Beacon Avenue South at South Hanford Street, and continue on Lafayette Avenue South into Jefferson Park. The route will continue south of Jefferson Park, crossing 15th Avenue South at South Dakota Street, and continuing on 12th Avenue South to South Lucile Street. Will we see trails like this in Cheasty Greenspace someday? Photo by Explore The Bruce via Creative Commons/Flickr. The Friends of Cheasty Greenspace/Mt. View have posted a plea for major volunteer help on Saturday, June 2 from 10 a.m. until noon. A “bucket brigade” is needed to help surface the Ridge Trail with gravel. If you are able to help, meet the group at 2809 S. Alaska Pl. Tools and gloves will be provided, but volunteers should bring water and perhaps snacks to share. 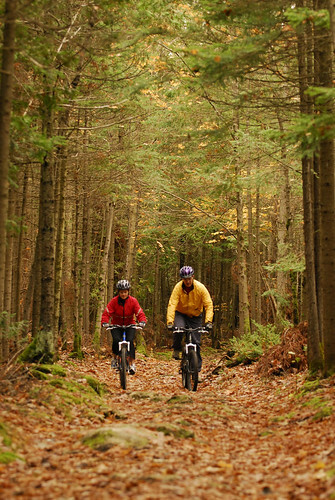 In other Cheasty Greenspace news, a group of neighbors are working together to create an Opportunity Fund proposal to build a multi-use trail system (including mountain bike trails) in the north part of the Greenspace. Find out more at the Beacon Bike Park website. Beacon Hill commuters participating in Bike to Work Day should bike by the corner of Beacon and Columbian between 6-9 a.m. this morning, where Bike Works will be hosting a Bike to Work Day commute station with free souvenirs, snacks, and bicycle advice. Depending on your commute, you might pass other stations on your way to work, too. See the list of commute stations here. 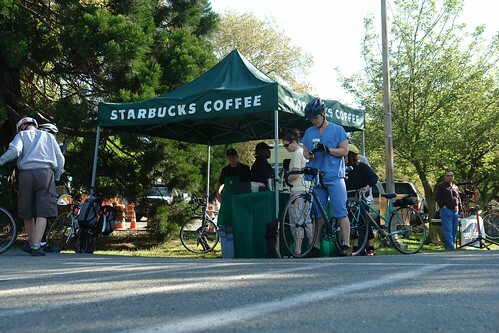 Cyclists made use of this commute station near the University of Washington on Bike to Work Day in 2008. Photo by Josh Larios via Creative Commons/Flickr. 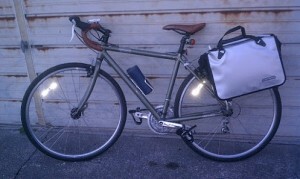 This bike was stolen from a garage on North Beacon Hill recently. Have you seen it? If your bicycle is stolen and its value is less than $500, you can file a police report online here. 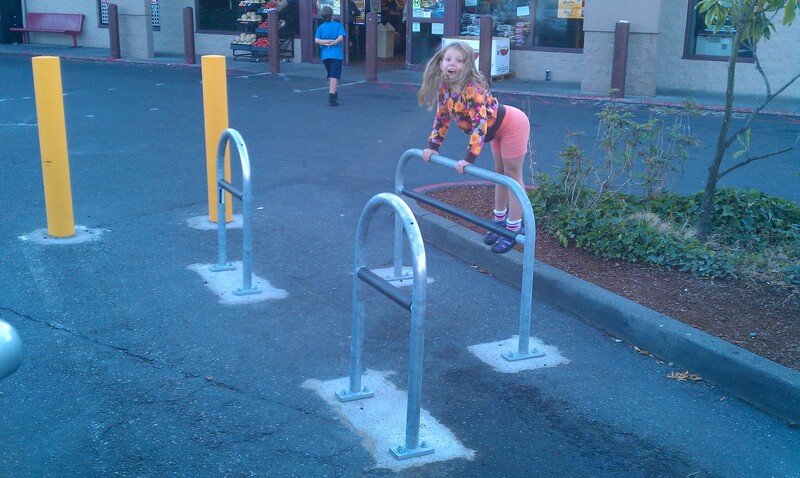 If the bicycle stolen is worth more than $500, report the theft by calling the police non-emergency number, 206-625-5011.